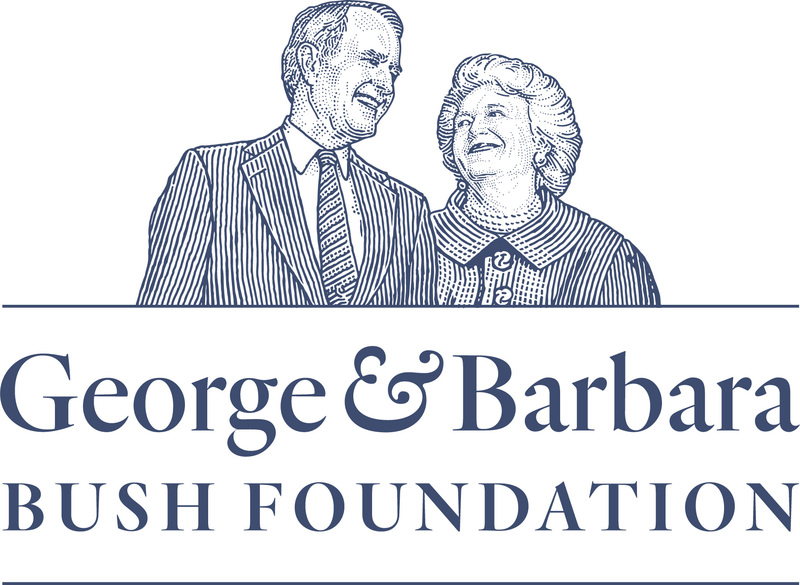 As has been reported in the news media this year, a retired Marine One helicopter that previously transported President and Mrs. Bush will become the cornerstone of a new exhibit building at the George H. W. Bush Library and Museum some time in 2021. 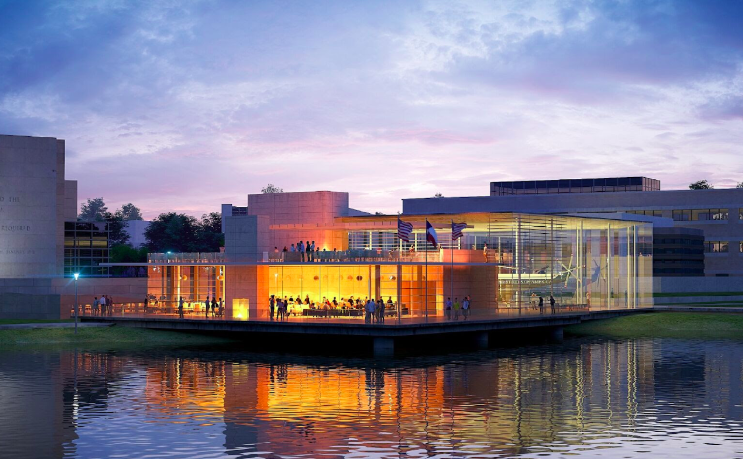 Thanks to an agreement finalized with the Marine Corps late last year, plans are already underway to construct a 20,000 square-foot, glass-enclosed building near the small lake on the grounds of the George H. W. Bush Presidential Center to house the 68-foot historic aircraft. A new restaurant will also be part of the project. 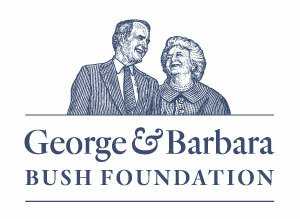 “It is one of the most powerful symbols of the modern American presidency, and it is coming to the Bush Center,” said David Jones, CEO of the George H. W. Bush Presidential Library Foundation.